Help text for users is included throughout the database, guiding users through the functions and systems required for carrying out searches and reporting of the database contents. Users may also find videos on YouTube of interest. All references included within the database are fully cited and this information can be exported to Endnote. 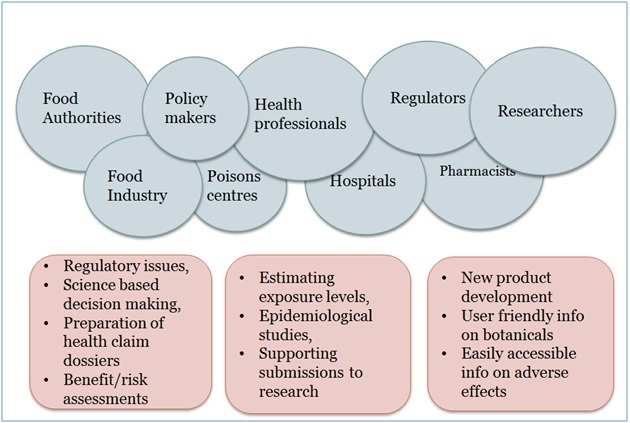 in addition, links to a selection of reviews, books and databases, covering information on botanicals, traditional uses and dietary supplements, such as the EFSA compendium are included. A PDF summarising quality documentation including SOPs used for selecting references, adding quality evaluated data, etc. can be downloaded from the ‘Additional information’ within ePlantLIBRA.